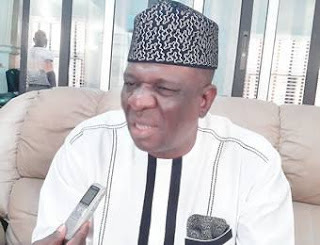 Senator representing Edo South in the National Assembly, Matthew Urhoghide, yesterday revealed what happened to him after he moved the motion for President Muhammadu Buhari’s impeachment. The Senator who said he has no regrets for moving the motion, alleged that the Chief of Staff to Governor Obaseki, Taiwo Akerele, mobilized thugs tojustassault him at the airport on Friday. He made the assertion while addressing newsmen in his Benin City residence. Urghogbide said he would seek redress in court and also furnish the Senate that he was molested and humiliated at the Benin Airport over what he said during plenary. Urhoghide said it was a shame on Nigeria for a boy to hit a serving senator and representative of the people. He said, “They have promised to deal with me. If not for the State Commissioner of Police who restrained them. I obeyed the Police Commissioner and remained where I was until the governor came.